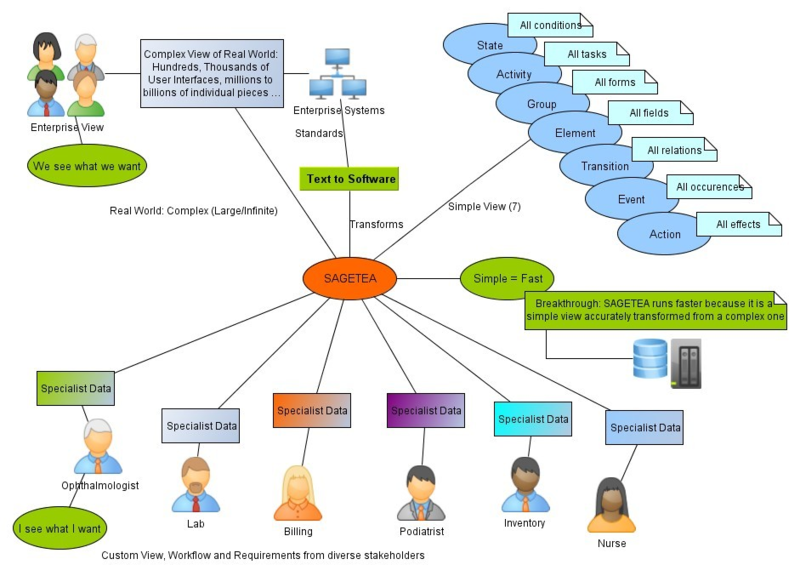 The SAGETEA Information Model is a simple 7 table system that can manage and run customized software. The 7 parts of SAGETEA all work together seamlessly to provide all users with the view they want in an easy to use way. The SAGETEA model is simple and scalable. This makes it easy to work with using Text to Software. SageTea is also our brand name and approach to helping businesses everywhere decode their futures.